OpenRules, Inc. is a US corporation that develops, supports, and provides consulting and training services around its highly popular Open Source product commonly known as “OpenRules”. OpenRules is a powerful Business Rules and Decision Management System with multi-year proven records in various production environments. It is oriented to business analysts allowing them to work in concert with software developers to create and maintain enterprise-level Business Rules Repositories for complex Decision Management Systems. It utilizes the power of MS Excel, Google Docs, and Eclipse IDE. OpenRules supports Executable Decision Models and the DMN standard. There are many gray areas in the world of business, but implementing clear business direction should not be one of them. Sapiens DECISION allows business users to discover, model, verify, manage and execute business direction, logic and decisions with black & white clarity, transforming the business logic into a centrally controlled, living and strategic asset. DECISION models are validated and tested for integrity and precision, both during their creation and whenever changes are made. Once approved for production, they are either implemented by IT or automatically transformed into executable code. As a hub for the most current Business Logic, Sapiens DECISION is helping Global 1000 companies reduce operational cost and risk, simplify business system implementation and speed up time to market for new products, services and updates. Decision Management Solutions helps organizations harness data-driven decision making by applying analytics, business rules and associated technologies. Data-driven decision making requires a significant shift in how we think about business architecture, process automation, rules analysis and analytics requirements. This shift delivers significant, measurable benefits in terms of operational and business performance gains. We are experts in the field of Decision Management and the decision modeling approach. Our clients are leading companies in insurance, banking, manufacturing, telecommunications, travel and leisure, health management, and retail. We are a co-submitter of the Decision Model Notation (DMN) standard and a contributor to the International Institute of Business Analysis (IIBA) Business Analysis Body of Knowledge® (BABOK) sections on decision modeling. We offer vendor-neutral training and consulting in decision modeling and Decision Management. For organizations using Business Rules Management Systems, we offer a unique approach and software platform that integrates DMN decision modeling with your BRMS. ACTICO is a leading international provider of software solutions and technologies for decision management. In a digital world, it is necessary to process large volumes of data and make real-time, consistent and auditable decisions. ACTICO Platform allows companies to implement highly flexible applications to optimize their daily decision-making on a continuous basis. This enables them to accelerate growth, innovate effectively, stay compliant and as a result, increase profits. RapidGen Software offers users of the Decision Model & Notation standard (DMN) and DMN modeling tools a powerful execution engine, able to handle complex logic at scale. RapidGen translates XML output from DMN modeling tools into highly efficient, directly executable machine code using a single-pass compiler. RapidGen Software is based in London, UK. With its extensive experience in decision-table based logic programming, the company’s software is integral to business-critical applications in large scale sites in Europe and North America including aerospace parts tracking, mobile telecoms billing, sales distribution and nuclear power. 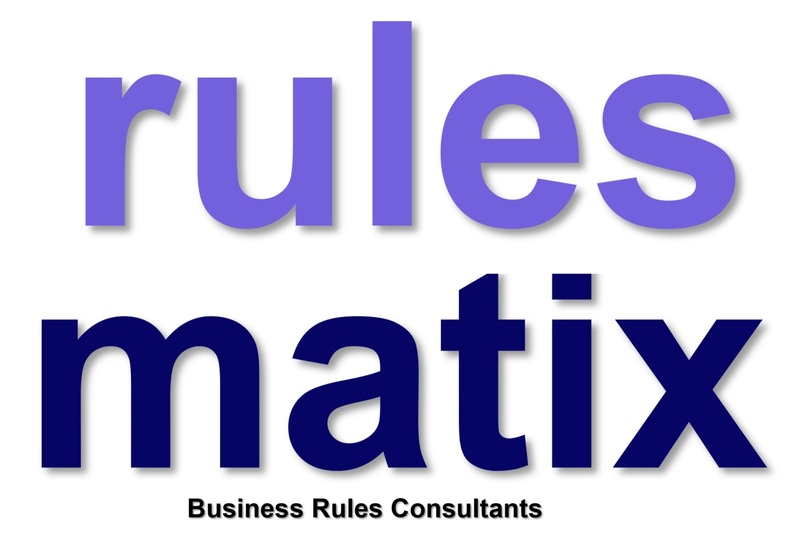 Rulesmatix specializes in implementing business rules, process and case management solutions using innovative development techniques. Our consultants have many years of experience in the architecture, design, development and implementation of complex business systems for medium and large organizations using business rules and processes. Our extensive experience and exemplary track record of delivering business-critical systems using business rules using commercial and open source business rules engines is a key asset. We also offer various development frameworks including Business Process Management, Business Rules Management and Rules Services Testing Frameworks. Sparkling Logic Inc. is a California-based company leading technology innovation in Decision Management. Sparkling Logic’s SMARTS™ decision management system is a business rules and analytics platform that empowers business and data analysts to discover, test, simulate, deploy and continuously improve data-informed business decisions that drive daily business operations in applications and systems. Decisions is a leading provider of BPM/Workflow/Rule Technology headquartered in Chesapeake, Virginia. Decisions was founded in 2010 by Carl Hewitt to provide technology for automating key business processes and business rules and making the rules and the logic accessible to non programming staff. Decisions technology is deployed as the basis of multiple commercial applications in medical, finance, logistics and operations software. In addition to this, Decisions technology is used directly by companies on almost all continents, ranging from small/mid size companies to numerous Fortune 500 companies. Decisions is recognized as a strong performer in the Forrester New Wave for Digital Decisioning Platforms. Development, service, and support operations include staff in North America, Europe and Asia – providing 24×7 coverage for development and production support. KU Leuven (www.kuleuven.be) is an institution for research and education with international appeal. All programmes at this University are based on the innovative research of its scientists and professors. KU Leuven ranks among the best 50 universities worldwide. Several reputed researchers and research groups at the university focus on different facets of decision management. The research of Prof. dr. Jan Vanthienen focusses on DMN and decision tables (research group LIRIS). The DTAI group focuses on the formalization of decision logic in knowledge bases and the development of different inferences (Prof. dr. Marc Denecker). EAVISE uses a combined approach to apply the state-of-the-art techniques in real-life companies and situations (Prof. dr. Joost Vennekens). These different groups unite their unique knowledge in a common Decision Analytics research project. To promote the awareness concerning decision management in companies, we organize a Decision Intelligence Seminar on 5 February 2019. The annual International Web Rule Symposium (e.g., RuleML 2016) is a conference on research, applications, languages, and standards for rule technologies. It is a conference in the field of rule-based programming and rule-based systems including production rules systems, logic programming rule engines, and business rules engines/business rules management systems; Semantic Web rule languages and rule standards.RuleML Inc. is a non-profit organization that drives the specification of standard semantic-technology & business rules, coordinates rule research and development, and holds international meetings.